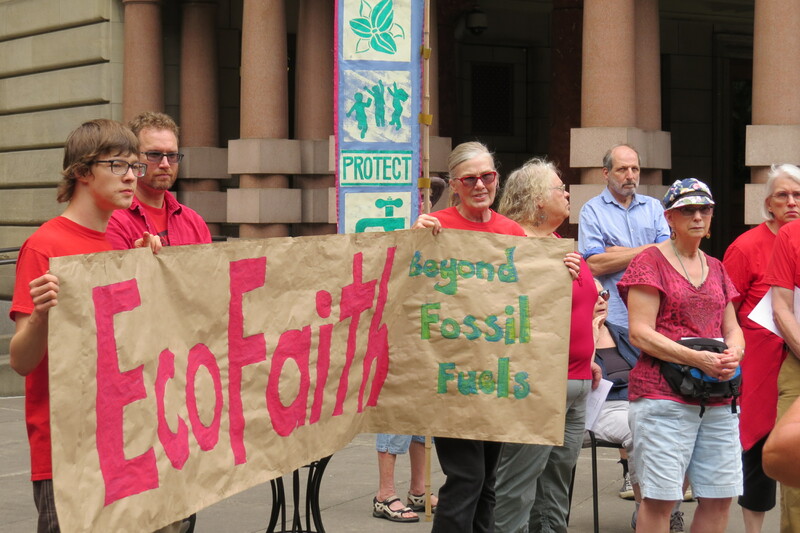 For 2018, we will focus our energy on the Portland Just Energy Transition (PJET) Initiative, a city-wide faith-based strategy. Be on the lookout for meetings and gatherings specifically on PJET and how you and your faith community can be involved. You are also invited to contact office@ecofaithrecovery.org if you would like to be involved in the PJET Cohort and engage with the monthly coaching meetings that helps to support you and other spiritually grounded leaders in this effort. – One-Day Mini Institute on February 10th. The EcoFaith Recovery Beyond Fossil Fuels Organizing Team invites you to join us for our monthly Grounding for Action organizing meeting. Grounding for Action is facilitated by leaders from EcoFaith Recovery’s Beyond Fossil Fuels Organizing Team. Join Christians and others of good will who are building strength to participate in the fossil fuel resistance movement and who seek spiritual grounding, shared values, common practices, and real relationships from which to act. . . and act powerfully! Beautiful job laying out BFF how’s what’s and when’s. I like this Web construction. Most of all I like the connections factor that takes our relationships seriously and personally through it all. I can feel the growth of Chloe and her Mom interwoven. Nice job! Will you give me an update about what is happening with Beyond Fossil Fuels. Are they still meeting on Monday evenings at Central Lutheran Church? The Gray Going Green group here at HPP is very interested in what that group is doing.